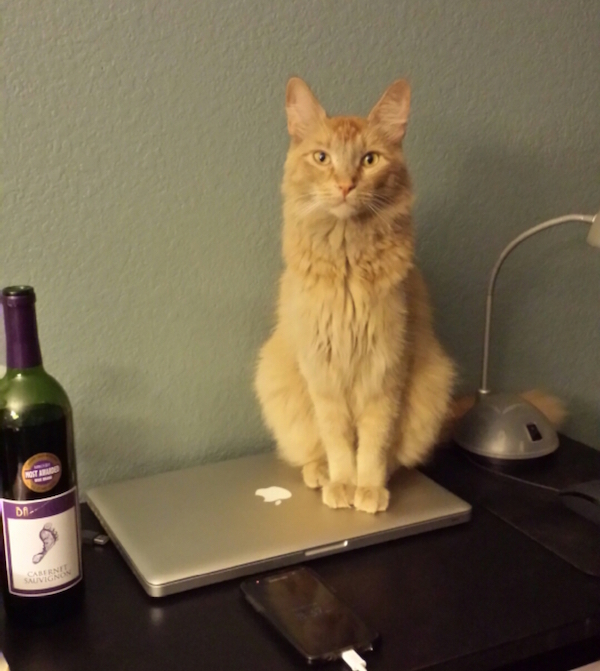 Of course the cat’s talking about the wine. Just discovered your stuff. It wasn’t through reddit, despite the cat. It was through wordpress.com “Discover.” Just goes to show that good writing sneaks through, even on the inter webs. So, open that thing and type. I’m following. Thanks and will do. Glad you found it.